Gothenburg, Sweden (BBN)-Children with frequent snoring and breathing problems during sleep are prone to an increased risk of poor concentration level and learning abilities, finds a study. 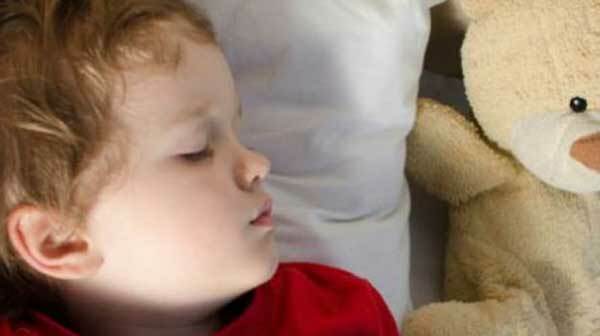 The study showed that while periodic snoring is usual in children, persistent snoring can lead to sleep apnea where the quality of sleep is affected, which in turn, can be linked with daytime tiredness, concentration and learning difficulties, bedwetting and delayed growth, reports the IANS. “Children with persistent snoring often have a reduced quality of life. In particular, this applies to children who have sleep apnea,” said Gunnhildur Gudnadottir, researcher at the University of Gothenburg in Sweden. However, the researchers pointed out that many parents of children who snore are not aware of the possible risks associated with frequent snoring in children. The most common reason for snoring are enlarged tonsils or adenoids, that can often be cured or reduced with surgery, the researchers said. In the study, published in the Journal of Laryngology and Otology, the researchers examined the occurrence of snoring and sleep apnea in 1,300 Swedish children ranging in age from 0-11 years and found that approximately 5 percent of the examined children snored several times a week. Despite pronounced snoring, only about one third of the snoring children had sought medical help for their problem revealing low awareness regarding the negative effects of breathing disturbances during sleep on children’s health, the researchers concluded.